Sorry for Bringing it back up ,but im in the process of switch a 97 cavalier front end to a 2002 i have everything for the switch but im lost on what to do with the 2002 cavalier harness since its a different main plug then the 97, what the easiest way to approach this???? Im in the same boat lol.. 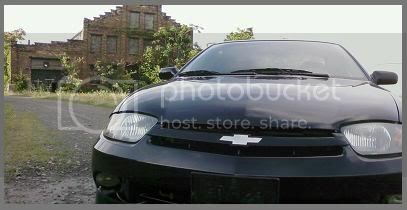 In the process of putting a 95-99 front bumper from a body kit on a 01 Cavy and using the smaller headlights aswell. Just need to know how to wire everything and find how it all fits.. This whole damn thread seems to be all about Fire to Cav conversions and hood latches etc.. DAMN!!! they will work but u will need to cut off the turn signal brackets off from the inside of a set of fenders from 95-99 and mount them to the inside of those fenders. also make sure you wire up your headlights correctly since now you will be going from a single bulb with dual filiment headlight, to dual bulb headlights. it is tons easier to go to a 00 + front end since u wont need to wire ur lights and everything will be direct bolt on with no cutting of the brackets to make the z3 fenders work. i wa gonna go with the one piece projectors, thats the main reason im goin with the 99 front end, if i did that would i still need the bracket? Ya know, im not 100$ sure about the 1 piece projectors. I would think not, but dont quote me 100% on it. If you get the one piece projectors you DO NOT need the fender brackets for the corners. I have the projectors and am going to be cutting the brackets out because the make of harder to get the lights in and out. I have a 03 cav. Im going to 95-00 headlights.i have a extra 02 harness and 95 harness. With that said i should be able to cut the bulbs off the 95 and place them on the 02 and hook that in my car. never mind got it working. Ok, so all those parts you got, you didnt need the fenders. The little metal headlight brackets that hold your 00 headlight/turn signal bracket needs to come off. The 03 headlights are held in with the two bolts on top, and the metal tri-angle clip on the bottom, it pushes through a square thats already cut out on the "frame" part of the car, when you remove the 00 headlight brackets you will see what im talking about. As far as the plastic crush guard from the 00 front bumper, that needs to be removed, and the foam crush guard for the 03+ needs to be installed in there. If you drill out the rivets you can pull that plastic off. The foam guard for the 03+ just sits inside the bumper. the hood, bumper cover, and headlights all just bolt up. Im not sure what you mean by the latch but im assuming you mean the striker, and that obviously bolts on too, and its done. Should honestly take no more then 30 mins to do the whole swap. If the headlight is hitting the rad support, you dont have something right. I have a 00 and I had no issues getting my 03 front to bolt up. if you can, do it. I can't be 100% on if the older styles use the same latches but different striker.. i know there is a difference between 02 and 03 cavaliers so i can't be 100%. 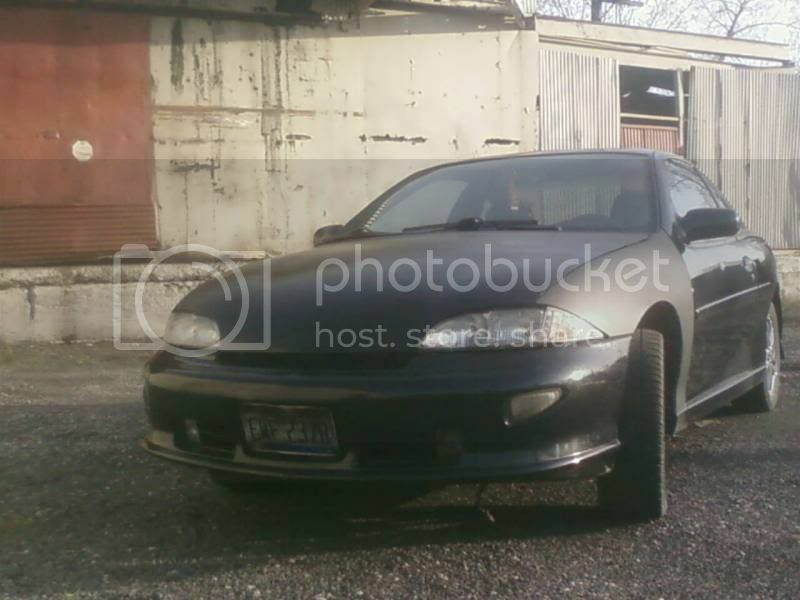 I have a 97 Cavalier and I want to swap to a 03 Sunfire Front. Can I just swap the headlight wiring harness or do I have to splice everything in? Second Question do I have to swap to the Sunfire Fenders or can I use my Cavalier fenders? I know i've said it a few times in this sticky alone that i tried swapping harnesses too and had the same issue with finding out the plug was different so splicing was needed. read it all...i promise!! )..lol but in doing a 99 z bumper on a 2k z....is the umm...i think its 881? bulb the same..base? as the 2k's 880. i think i recall seeing a pic of one and saw it differed in the 90 degree bend at the bulb. in other words will the 880 bulb fit into the 99 fogs? So I didn't see anything about this!! Sorry if I looked over it! But I'm using a 98 headlight harness on my 00 so I was going to re-wire the femalel plug on the end of the headlight harness to an 00 female plug. But looking at this, there are different wires that are the same color so how will I know what goes where!? Please help!!! ive read the post a few time through,im still lost on what front end i can swap on to my 99 sunfire without having to do any modification to the wiring harness. what front end can i swap over?